Specializes in All Genres of Features and Television, except Horror. Alex Specializes in Reality and All Genres of Features & TV, except Horror. Born in Colombia and raised in Canada, Alex Solano has had a long road to arriving in LA. Her career in Film and TV has been extremely varied, from talent agency & talent management, to production coordinator, copywriter, development assistant for both scripted and unscripted, and finally to her current post as Associate Producer: Production & Development at a boutique production company based in Culver City. Alex's work has led her to working on projects with companies including NBC, Paramount, Warner Bros., Legendary Entertainment, and Corkscrew Media. The principal executive at her current company has also worked on projects with Fox, Sundance, Brad Lachman Productions, and more. 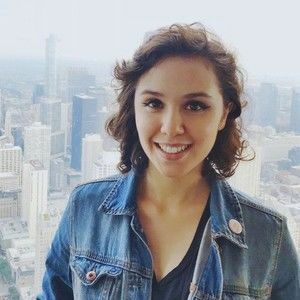 Alex's extensive experience in multiple facets of content creation, and her unique cultural background, bring a perspective to story that go beyond what’s on the page. Her work has been instrumental in guiding projects through their scripted stage to attract talent and lock financing. Outside of work Alex keeps up with as much current content she can consume, whether it’s indie movies, studio blockbusters, animated episodics, or binge-worthy dramas. NOTE: Please remember that this exec has asked for their company information to be kept private. Please respect the executive's request. Do not use or disseminate their information.